Did you know PetCo does pet adoptions? I didn't until May 2007 when we went in for some Carefresh and saw a little guy needing adopted. His name was Charlie, and he stole our hearts. We walked out with Carefresh, and Charlie. 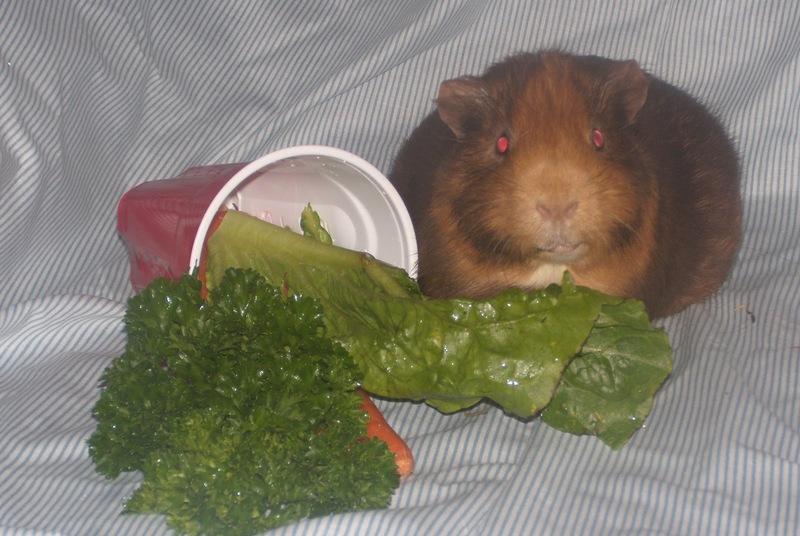 He was always a happy pig, and until the last seven weeks (or is that wheeks) of his life, he was quite healthy. He lived with three roommates, but needed to be seperated because they were starting not to let him eat as much. He lived seven weeks by himself, with LOTS of attention from us. Since he was alone and had been used to living with other pigs, I had to help take up the slack on his socialization. He was a good pig and will be missed.